demonstration. For more information on the project and demo, please read the "readme.txt" file included. 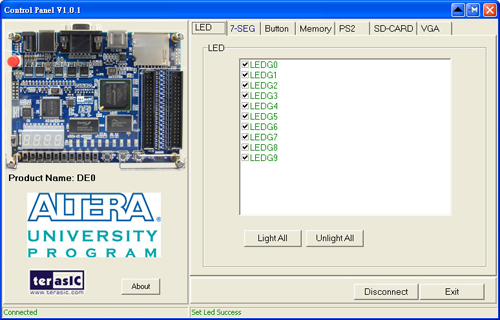 DE0 Control Panel allows users to access various components on the board from a host computer.